You know those things that you always plan but never get around to doing? 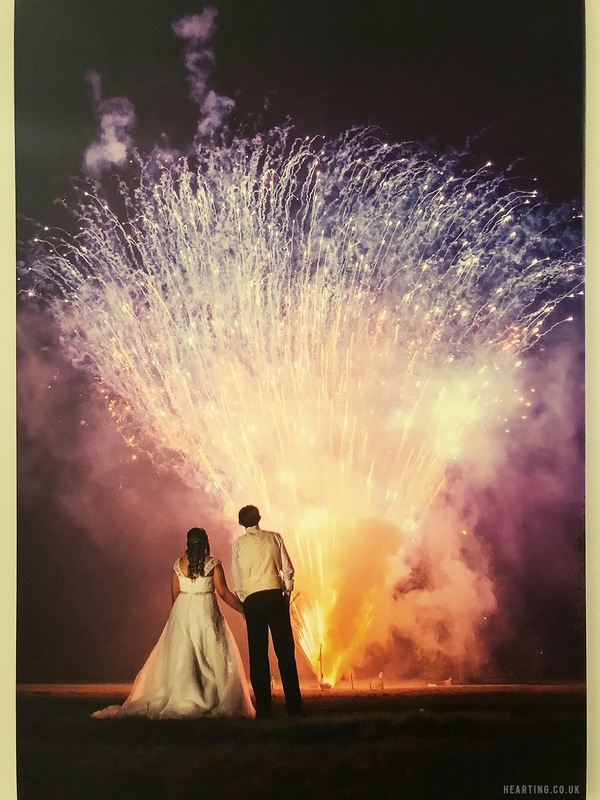 Like clearing out that drawer or finishing that scrap book.. well ordering a large canvas of this firework photograph from our wedding day is one such thing. 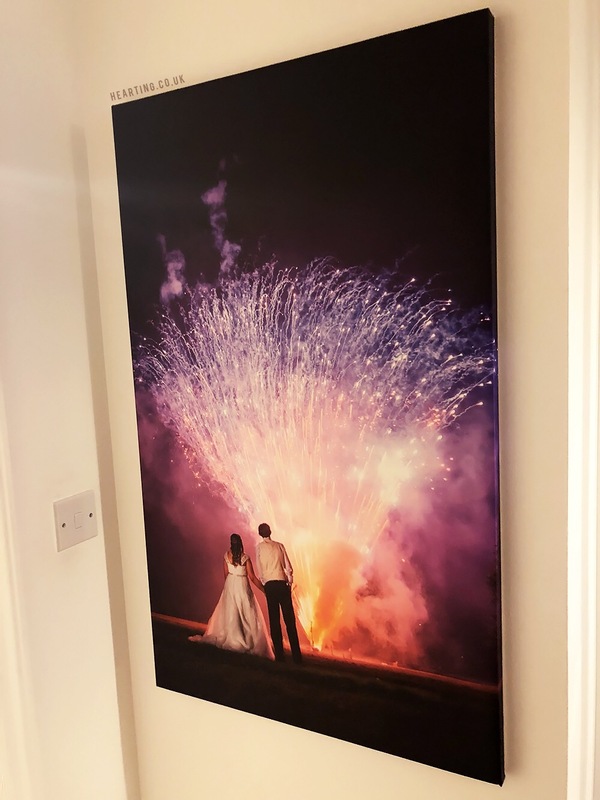 When we first received our wedding photographs I ordered lots of prints and filled numerous frames around our flat so that we’re always surrounded by beautiful memories of our day but I was yet to order the canvas. When Swedish brand Photowall got in touch asking me to review a wall mural or canvas print I jumped at the opportunity so that I could finally order the canvas I’d been meaning to order for however many months. Photowall have a passion for design and quality and offer environmentally friendly, fire-retardant murals and prints that do not fade in sunlight. They have countless designs to choose from but as I knew exactly what I wanted to order I opted for the custom canvas print*. I measured my wall and ordered a canvas 60cm wide x 100cm tall to fill the space available. I found it really easy to order my canvas, I just uploaded the photograph, chose whether I wanted a frame (I ordered the do it yourself frame), selected the edge type and entered my dimensions. I decided on a printed edge so that the photograph would fill the frame around the side of the print too (alternatively there is the option to choose a white or black edge). I was amazed that my order arrived in under a week considering the free delivery and the fact that it was coming all the way from Sweden. My canvas arrived safely packaged and rolled in a tall narrow box with easy to follow assembly instructions and everything needed to put the canvas together, including fixings for hanging it. It couldn’t have taken me more than half an hour to put it together and it was fairly easy to follow the step by step instructions which you can also check out here. The canvas itself is made of weighty pure cotton and looks beautiful on our wall. I’ve ordered canvases in the past, and the quality of this Photowall canvas is far superior. Considering I ordered the photograph at such a large scale it hasn’t lost any of the quality and I really like how this looks in our spare room. Photowall have kindly gifted a 20% off code for my readers, simply enter heartingcampaign2018 at checkout to take advantage of the discount. This code is valid until the 14th of February. Have you ever ordered from Photowall? Is there a photograph you’ve been meaning to order?